In 2003 we decided to make the move from New York State to sunny Florida. We now live near the gulf coast of Florida in Myakka City. We have more land and a brand new kennel facility....featuring indoor/outdoor runs, grooming area, central air, and lots of open land for the dogs to run and get plenty of exercise. 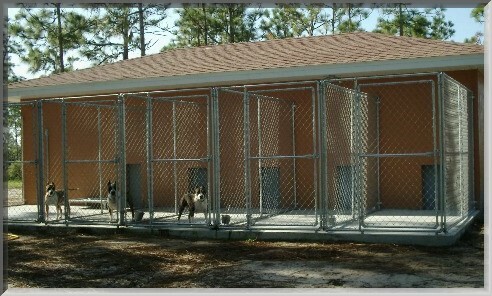 We are also taking in boarders, and dogs for obedience training. We first became involved in AmStaffs in 1993, beginning with obedience, and then conformation. We have been members of The Staffordshire Terrier Club of America since then. With the strong foundation of dogs that we currently own, we hope to make a positive contribution to this wonderful breed that has captured our hearts.